Discussion in 'Designers and Collections' started by lanvinray, Sep 13, 2009. 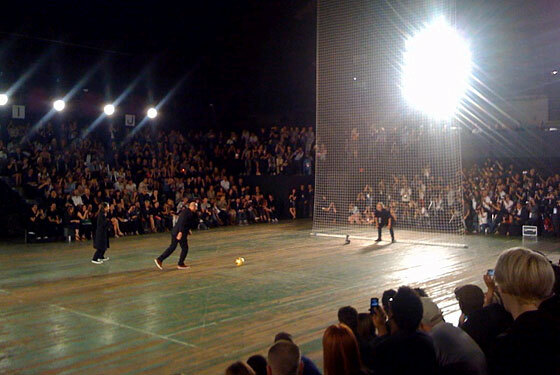 Betsey Johnson may do cartwheels down the runway, but Yohji Yamamoto plays soccer. 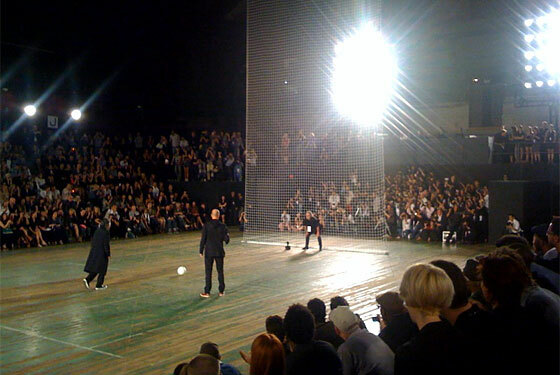 At the finale today, a giant soccer net dropped from the ceiling of the Armory and the designer plucked French soccer player Zinedine Zidane from the front row. A model drafted a photographer to play goalie, and the crowd couldn't contain itself. Ahahaha interesting, very original ! !love it ! 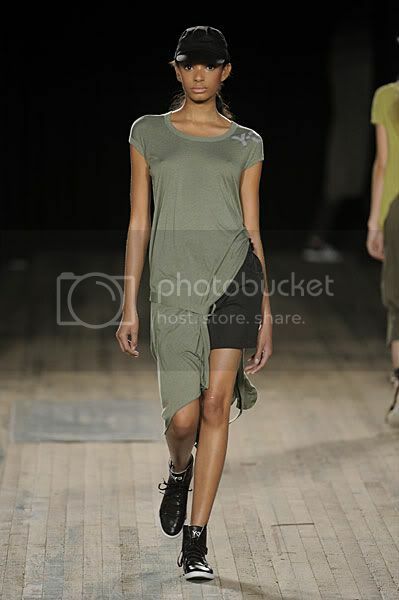 haha~~cant wait to see the whole collection! 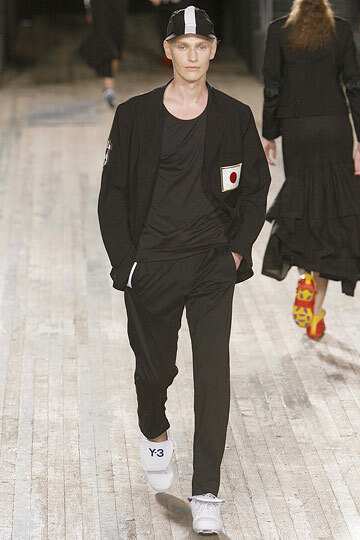 I love Yohji and Zidane, but I don't like Y-3. They have to start realising that it's not necessary to print a big "Y-3" on every garment. not diggin it so far. I think the soccer is a very interesting theme, and the netting is good to use-but the white full-cover (over the maillot) isn't exactly the best, and Eugenia looks like she got caught by the Barbie Fishing Net. wow! and I thought only paris provide these kind of fun shows! Not into y-3, but would love to watch the video! 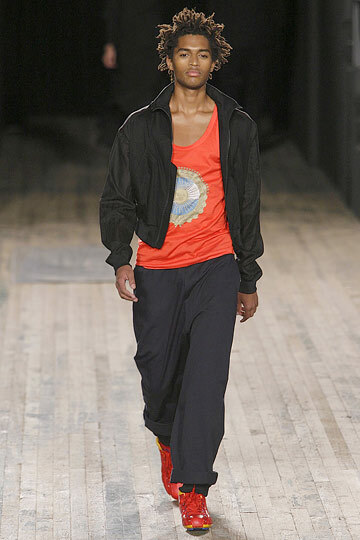 Sportswear is proving to be a trend, I see. great cover-all dress. perfect piece for covering up skimpy bikinis and modest one pieces alike. i'm confused about their function for men, but alas. also, i feel like he missed an opportunity by putting madonna's beau in such a throwaway look. otherwise, this collection, as always, is money in the bank. Nice collection !a little "crazy" but I like! !